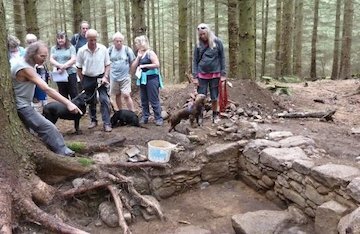 When: Over the spring, summer and autumn months either mid-week or at weekends there is a practical archaeology group - Bennachie Landscapes Fieldwork Group undertaking excavations and survey work. What is involved: Archaeology is the study of human history and prehistory and is made up of a variety of activities including detailed surveys of buildings and field systems and the examination of artefacts recovered from sites. For more information For all our planned future dates please see our Events. Archaeology is the study of human history and prehistory and is made up of a variety of activities, not simply excavation, though this is an important method. From detailed surveys of buildings and field systems, to the examination of artefacts recovered from sites, archaeology can help build a rich and detailed picture of life in the past on Bennachie. Activities will take place throughout the year, with details of all work, past and present, available to view. 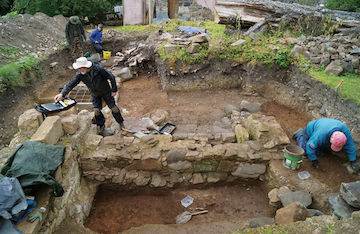 2014 - An article on the Colony dig, published in 'Archaeology', a magazine published in the US. The piece was written by Kate Ravilious who we met during her visit to the excavations. 2013 - Lordship of forbes landscape development study. 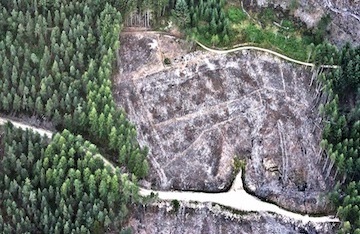 Bennachie Colony excavation, analysis and exhibition. Local schools dig findings. 2012 - Colony archaeological investigations, processing and analysis. Bennachie landscapes project. Technical Information - Surveys and Excavations. For more information see our Projects and Bennachie Landscapes Project pages.